Sarawak Chief Minister Adenan Satem is riding high on public opinion, with praise pouring in from government supporters and even those in the opposition acknowledging the quality of his leadership, giving rise to speculation about the next state elections. After the Budget in November, he says, and analysts believe it will be between January and April. Much has been done by Adenan after he assumed the post of chief minister nearly 20 months ago. He has taken measures such as reducing electricity tariffs, abolishing toll in several places, standardising ferry fare to only RM1, showing commitment and firmness in eliminating illegal logging, checking immigration of illegal workers, addressing poaching by fishermen, being steadfast in demanding higher oil royalty from the Federal Government and demanding devolution of power to state departments in several sectors. Adenan himself has reportedly said that elections could be held any time after the 2016 state budget is tabled in November. The redelineation of electoral boundaries, which provide 11 additional seats in the state assembly, are expected to be approved by Parliament when it reconvenes in October. A date has yet to be set for tabling of the state budget, and the chief minister is expected to wait until the prime minister reveals on Oct 23 what the federal budget contains, especially in allocations for Sarawak. Politicians, including opposition leaders, and analysts do not think the state election will be held this year. Sarawak PKR chairman Baru Bian feels November is too soon. Adenan would be busy with the Sarawak budget, and he can only shape that after finding out what’s in store in the national budget. The state government is awaiting the federal response to its demands on such issues as raising the oil royalty from five per cent to 20 and the devolution of power in sectors such as education, infrastructure and tourism, he said. Baru Bian said the support for Adenan may be personal rather than political as the Barisan Nasional has yet to resolve differences among the Sarawak United People’s Party and Sarawak Progressive Democratic Party, which serve the Chinese community. The internal disputes have spawned the breakaway United People’s Party and Parti Tenaga Rakyat Sarawak, both of which are “BN-friendly”. Parti Pesaka Bumiputera Bersatu holds 35 of the 71 seats in the state assembly with SUPP (6); Parti Rakyat Sarawak (8); SPDP (6); DAP (12); PKR (3) and one independent making up the rest. Chinese support is a crucial issue in Sarawak. SUPP was the biggest loser at the last elections, only retaining half of its 12 seats, while the DAP doubled its share to 12. One politician supportive of the government, who wished to remain anonymous, said he did not rule out Adenan’s earnestness in wooing the Chinese community, such as providing more aid for Chinese private schools, amounting to RM3 million for last year and RM4 million for this year and a pledge of RM5 million for next year. Baru Bian said the split in the component parties, usually out of disputes over allocation of seats, cannot be resolved through giving aid to constituents: deals have to be worked out at the party level. 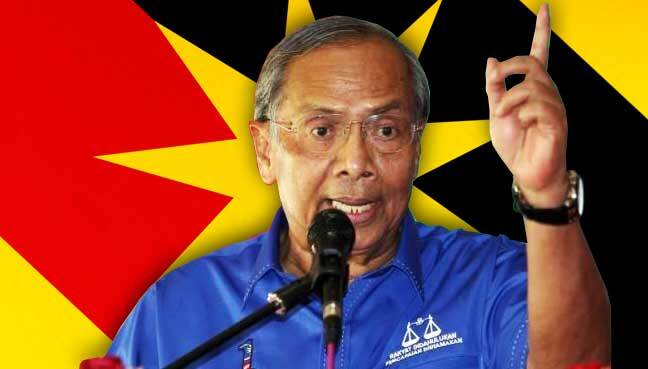 One political source, who declined to be identified, said Adenan may need the 11 additional seats to resolve the scramble for seats, and to offer some seats to the new BN-friendly parties. However, the new parties can only be accepted into the coalition with the consensus of all existing component parties. “Adenan is not in a hurry,” said Junairi, senior lecturer of communication studies at Universiti Malaysia Sarawak. “His position is very stable, support for him is tremendous. There is much time, much more can be done,” he said. Furthermore, the chief minister would want the redelineation issue and the 11 new seats to be ironed out. The Federal Government has said the final report on the Sarawak redelineation would be tabled in the Dewan Rakyat in October. Jeniri ruled out elections in December, saying his observation showed that a state election in Sarawak has never been held at the end of the year. Another lecturer, Lt Col (Rtd) Saiful Anwar Md Ali, said Adenan could spring a surprise and hold the election this year but believed it was more likely to be next year. “I expect it to be held after February,” said Saiful, who is a senior lecturer of the Faculty of Administrative Science and Policy Studies of Universiti Teknologi MARA Sarawak. He said many things happening at the end of the year, among them the floods, ruled out the possibility of the election being held soon. Furthermore, Christmas is celebrated widely and grandly in Sarawak, and so is Chinese New Year, which usually falls in January or February. Newspaper columnist Azman Ujang, a former general manager of Bernama, believes the election would be held next year because time was too short to prepare for an election this year. “It is not easy to hold a state election in a rush. Also, with the 11 new constituencies the burden of holding polls this time has increased tremendously,” he said.